An Israeli plan to attack Iran in 2012 was canceled due to objections by Obama administration, former head of Israel’s National Security Council Giora Eiland confirmed Tuesday. The Times of Israel, quoting conservative Israeli political website Mida, reported today. Mida reported today that Eliand, a retired major general, discussed the Israeli plan and Washington’s objections during a closed conference two weeks ago, saying that Netanyahu had originally intended to order a strike on Iran sometime between September and October of 2012, at the height of the US presidential campaign and around the same time as Netanyahu’s famous speech at the United Nations. “Changing times,” however, could allow for an Israeli strike in the future, Eiland reportedly said. Good Uskowi to have brought this one ,but few people will buy this argument from the world's only 'invincible' Nation!!. @-we have to wonder why OBAMA did dissuade Israel from attacking an easy target -Iran -a Nation whose fall 'guarantees total peace' !. Today, Israel claimed they tested their missile defense system in the Eastern Mediterranean by firing a Sea Sparrow missile in order to simulate an Iranian ICBM attack. However, everything Israel announced was a lie. The Sea Sparrow, more appropriately, RIM 162 ESSM, is a short-range, ship-launched air defense missile. Israel currently has no stock of sea-launched missiles of this type and opted not to join the 12 nation consortium that developed this missile. In no way does the Sea Sparrow resemble an ICBM, not in appearance, performance, range or radar signature. Israel possesses none of these weapons and certainly didn’t launch one. Israel claimed this exercise was done in coordination with the US Navy. Nevertheless, the US Navy, when told of the launch by Russia, accused that nation of “rumor mongering” and denied any knowledge of the launch. When Israel admitted the launch but claimed the US was “partnering,” the Department of Defense issued a denial. Israel has three Dolphin submarines in the region, one of them “on permanent station,” having been sunk by a helicopter-launched Russian anti-submarine torpedo at 2:36 PM on the night of May 2/3, 2013. The Israeli submarine had been on a routine mission supporting reconnaissance teams during an exfiltration from Syria. Neither the bodies of the crew nor the submarine have been recovered. I believe, and I certainly hope, that the Iranian government would not take seriously the assurances offered by commentators here that the news is false. What if it was true? If the government take such news the way you want it, "don't worry, it's all lies" approach, then the country will face serious problems. The pure reason Israel has not attacked Iran is the determination of the Iranian nation and the readiness of Iran's Armed Forces (Army, IRGC and Basij) to fight the aggressors. It is very important for Iranian journalists to reflect what is said in the foreign media, however to not fully buy in all that is said. Had Iran not shown its capabilities and most importantly its readiness and determination in defending its interests, it would have been attacked by Israel for a long time ago. Don't doubt on that and please read the history and politics of that newly built nation in order to better understand their degree of "merciness". This news is very possible.USA after all supplies money and weapons to Israel,therefore Israel sometimes listens to what USA has to say. Iran doesn't have the military resources to fight Israel. Iran would have to rely on their Hezbollah client to use rockets to attack Israeli cities. Israel has had no reason to launch a military attack against Iran up until now and it's only Iran's nuclear weapons development program that provides a reason. the claim that Iranian vigilance and capabilities prevent attack from Israel is a bunch of crap. Russian President Vladimir Putin says Moscow has its own plans to deal with a possible US military offensive against Syria. Putin made the remarks on Tuesday night at his country residence outside Moscow during an interview with The Associated Press and Russia's state Channel 1 television published on Wednesday. "We have our own ideas about what we would do and how we would do it if the situation develops toward the use of force or otherwise," he said. "We have our plans, but it's too early to talk about them." Good one Mat!! !-thanks indeed for standing for the truth! Neither does the zionist regime have the resources. 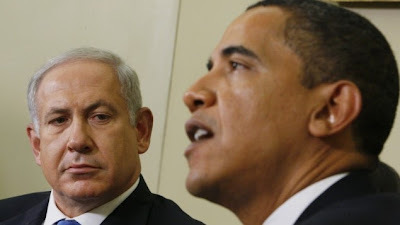 "Israel has had no reason to launch a military attack against Iran" yet that has not stopped the occupation regime from threatening one and trying to push America into committing one for its benefit. "Iran's nuclear weapons development program"? Is that ALLEGED programme instead of the zionist apartheid regime's own, covert one? Your hasbara is weak, you obvious shill. and are not these missiles, despite being far fewer in number than the Iranian ones, far more advanced and far more powerful? can not Israel's missiles, responding to Iranian missiles fired at Israeli cities, completely obliterate Tehran and every other city in Iran? large numbers of Iranian missiles fired at Israeli cities will lead to devastation in Iran.